You’ve probably guessed that I love organizing. Just scan my posts on the blog over the last year and it’s easy to see that love of working on organization projects and coming up with fun, easy, simple solutions. 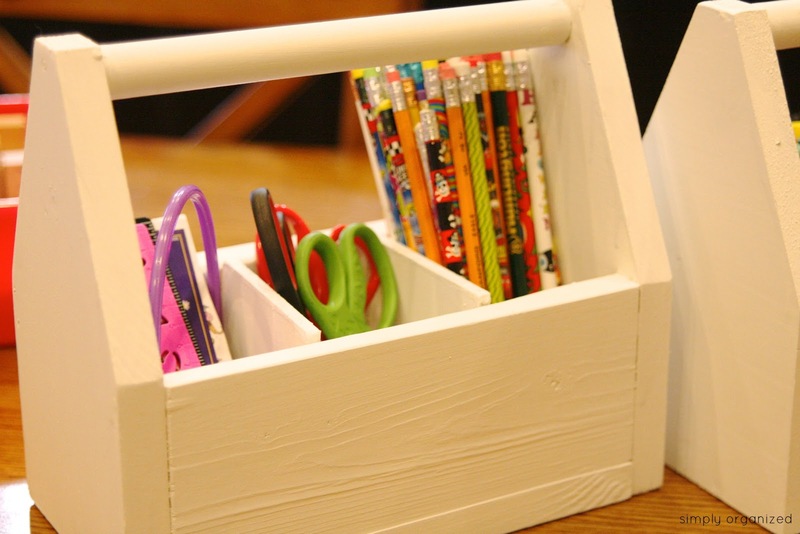 But who doesn’t love when you can also have organization solutions that are cute? Solutions for kids, in particular, that keep them engaged with staying organized? One of my very first organization shares here on the blog were these cute little caddies found in the $1 spot at target. That post was over a year ago and the caddies have continued working hard during that year. Although, in the last few weeks I noticed the need to update the storage a bit in the art cabinet. My 8 year old is the artist in the family and the crayons and markers are really cutting it anymore. He’s into thin colored markers, colored pencils, glitter glue and more. My 2 younger children love to color and craft as well. But after a few art sessions with them, found I had to re-organize or clean up the supplies. Which is fine….that’s what mom’s do, right? But I was trying to find a solution to lessen my clean-up load. Sooooo, it was time to update the storage a bit so we could invest in more art supplies and yet still stay organized. I spent a few hours looking around online for art supply storage. Big surprise (not!) that I ended up finding the solution on the Pottery Barn Kids website. Who doesn’t love Pottery Barn Kids? I could live in that catalog…forget about the kids…just let ME move in. After spending a few days pondering over the PBK items, a crazy thought occurred….why not make the caddy myself?! Yes, I’m sleep-deprived…maybe that’s why I thought to take this on. In the end, I did it and it was pretty easy! Not only did I create the caddies, but added a few dividers as well. The color possibilities are endless, too, when YOU choose the paint color of your choice! 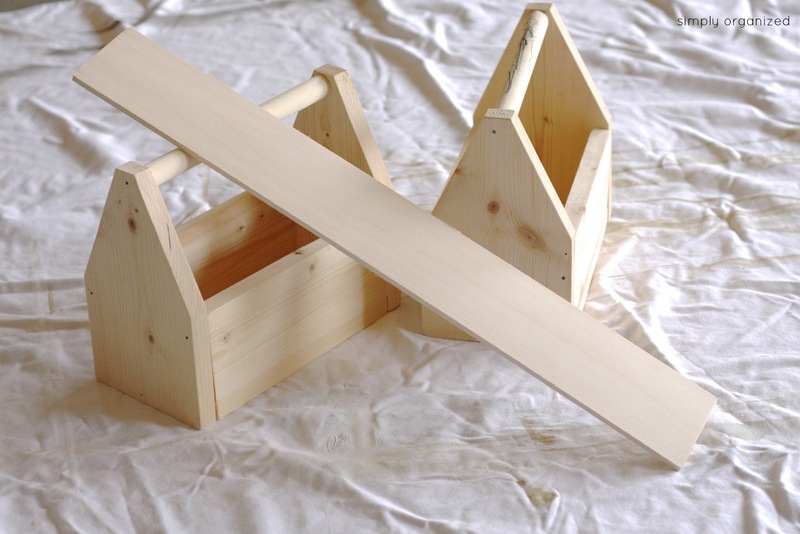 I’m a new DIYer, so don’t worry….I’m talking simple instructions here! 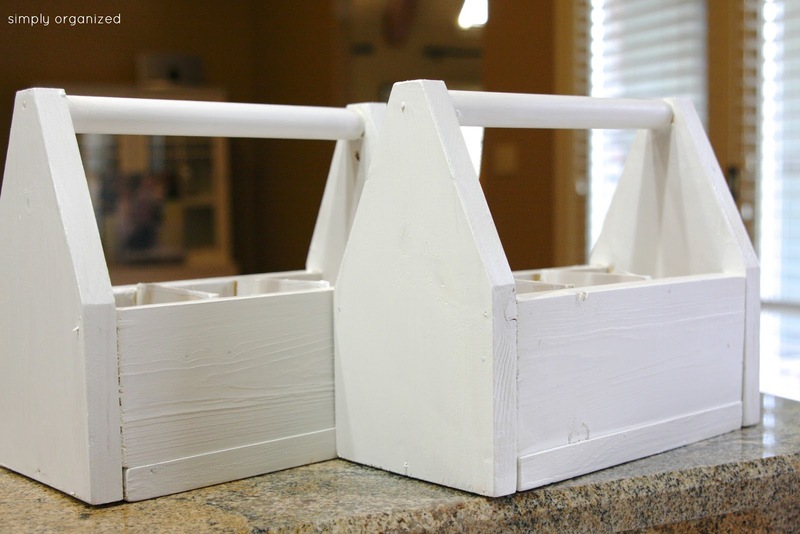 Simple items needed to create a similar caddy for a fraction of the price. We’re talking less than $7 each! (unless you decide to buy a higher end wood and paint…or don’t have paint already on hand, which was the case here). Sorry, I don’t have photos of the process used putting the pieces together (I’m a bad blogger! )…it was hard to snap photos AND assemble the caddy at the same time. Putting them inside did not require nails because the dividers fit snuggly…. I tried using spray paint on a small section to see if priming was necessary and it didn’t look so hot. Likely because I used inexpensive wood for the caddies. So, I would recommend priming this job if you go with a lesser-cost wood. 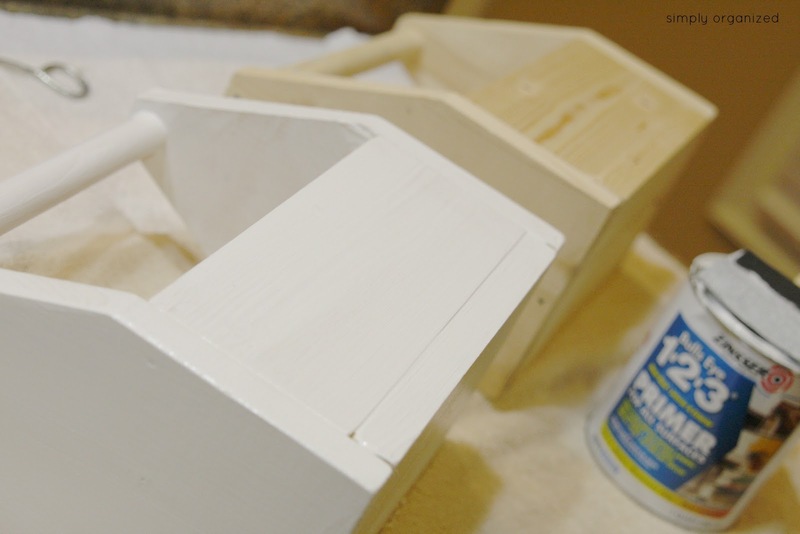 I painted the caddies white with the same white flat spray paint I’ve had around for several months…. All of the pretty color options shown on the PBK website were enticing, but our caddies are sitting inside the red kitchen desk cubby so thought white would be good for now. I can always paint over them later should they end up living somewhere else. 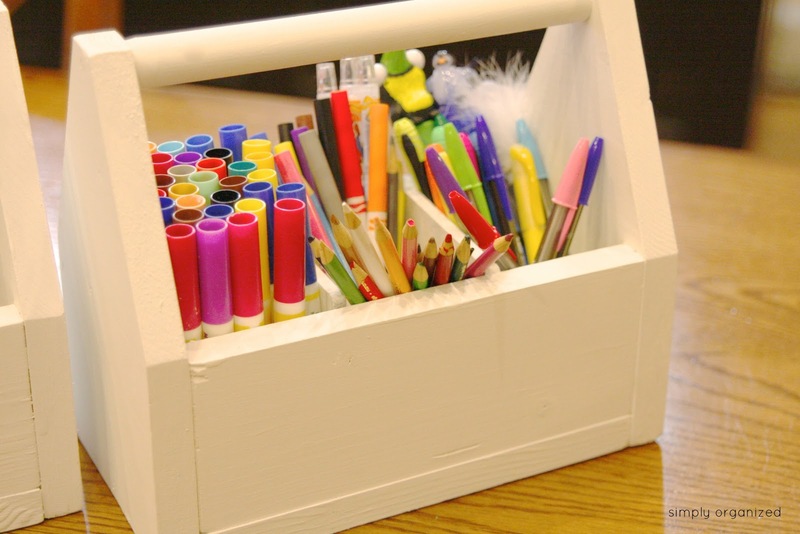 When the caddies were complete, not only was I proud of myself for saving money and making them on my own…I couldn’t wait to completely clean out the art cabinet to buy new supplies for the kids. 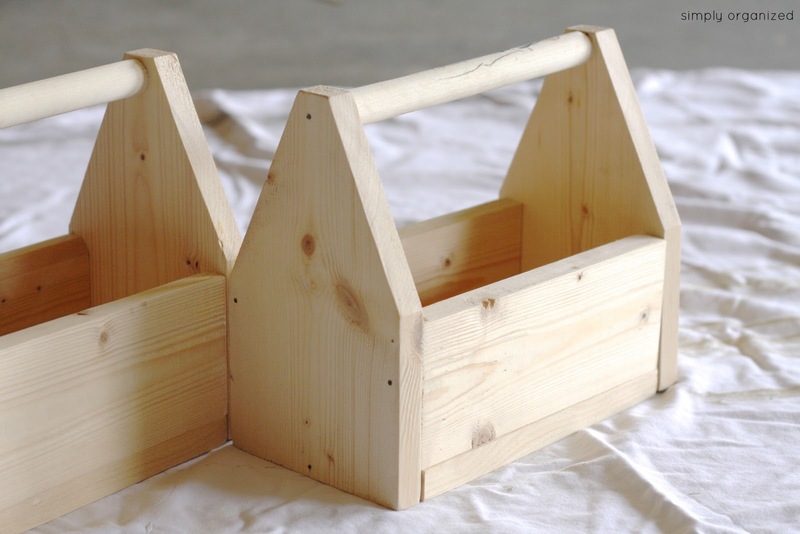 Please let me know if you build these caddies yourself. I’d love to feature your end result! I think I'll have to try this too… I'll let you know how it goes! These are really cute!! Stopping over from TidyMom's Link Party! 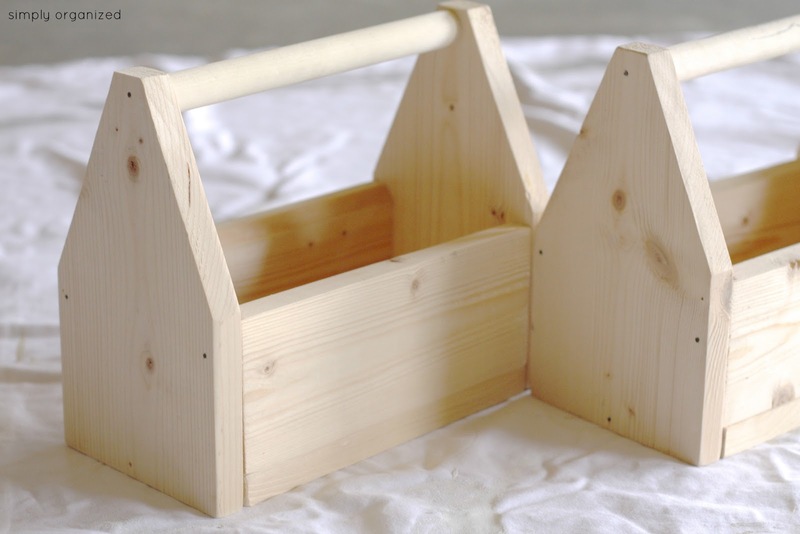 Even though this caddy has been shown to be used in a child's room, I could see it being used in lots of areas and for many purposes. I would use it for displaying geraniums or other annuals in 4 or 6 in.pots..Be sure to place a plant saucer under the flowerpot to catch the water. One could even use silk flower arrangements in pots, if you didn't want to use real plants. I could see this being used for holding plastic silverware, maybe sitting in or stored in a round container or small bucket. I could see it being used for picnic supplies too. Even cleaning supplies..